Smartphones have taken over our lives; young people, in particular, use them for all kinds of activities. Students nowadays also use them for taking notes and planning or organising their days. However, there are many who still prefer to use the old-fashioned way of writing things down on paper. 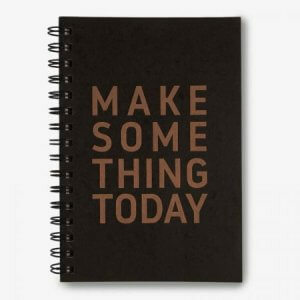 Such notebooks are commonly known as planners, organisers, or agendas, and they are great for keeping track of your daily affairs. Since college students have a lot of things they need to plan, they often need something that can cater to their specific organisational needs. 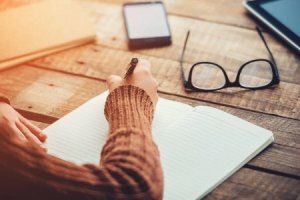 Although it can be hard to choose a planner, this article will help you by discussing what you must keep in mind when buying one, and also by providing a ranking of the top 10 best planners for students to buy online in India. Judging a planner by its cover is not the right way to buy the best one. Neither should you buy any random one off the (virtual) shelf. You must carefully consider your specific needs and look for one that matches them so you can find something that is perfect for you. Let us now talk about the factors you should keep in mind when buying a planner online. The easiest way to understand how much space a planner would need is to check the size of its paper. The most commonly available sizes are A4, B5, and A5. A4 is quite large and useful if you like to plan everything in a detailed manner. While A5 and B5 are perfect for portability as they take up less space. There are also some which are smaller than A5 and can fit into your pocket. If you’re the type who likes to note things down even on the go, smaller options are better for you as they provide portability. They’re also good for those who already have too many things to carry and do not want extra load. However, if the size is too small, it’ll be hard to note down details, so be sure you choose your planner based on your needs. The thickness of the paper is indicated by GSM (grams per square meter), and thicker paper is usually of higher quality. 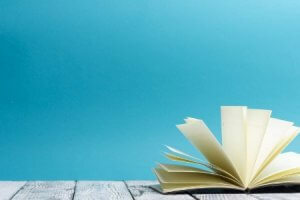 The standard paper is 80 GSM and most planners tend to be 80 to 120 GSM. Thinner paper allows for more pages while taking up less space. Thicker paper, on the other hand, prevents ink from seeping to the other side. Binding style is another important factor you should think about when choosing a planner. Glue bind is inexpensive, but it doesn’t allow the planner to lay flat and pages come off easily. Thread bind or staple bind is used for smaller sized planners, and they are quite secure. A thread and glue bind combines the durability and flexibility of the two and is much sturdier. Spiral/ring bind is the most secure one and also enables the planner to lay flat. 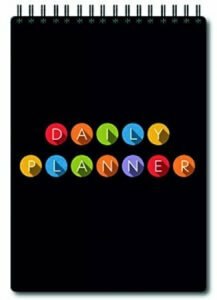 There are three types of planners, monthly, weekly, and daily, in fact, some may be a combination of those three. While some planners are properly detailed, others have blank spaces to give the user more flexibility. 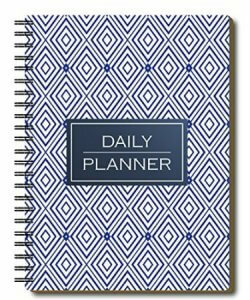 Calendar-style planners with small spaces for each day are the most convenient ones to carry as they are small and can even fit into one’s pocket. Larger planners look like notebooks and have more space to write down detailed information. You should one based on your lifestyle and usage. Students who are involved in part-time work or extracurricular may need dedicated spaces to plan and organise such activities. You may also need more space if you like to make long-term plans in addition to short-term goals. Now that you know how you should choose a planner, you can go through our list of top 10 planners for students to buy online, and get the one that suits you the most! If you’re someone who’s not concerned with the number of pages, but needs an undated planner which is properly protected with a hard cover and spiral bind, this product is the right choice for you. It is somewhere between A4 and A5, so it offers enough space to cover various aspects, including emails, calls, fitness goals, and other daily activities. It also has a section to keep track of your finances, and how you felt about the day. 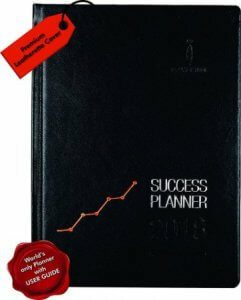 However, this planner is quite expensive, especially since it only lasts for about 5 months if used regularly. 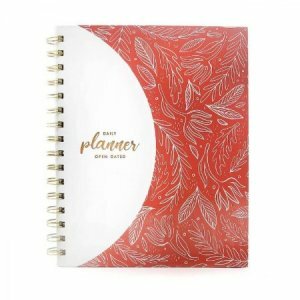 So if you are looking for an affordable planner or a planner that will last you for a year, then you should consider one of the other products on this list. It’s also not the best product for you if you do not bother with keeping track of every single detail of your day. 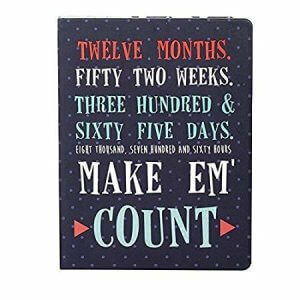 This planner comes in a handy A5 size with undated pages to note down your goals for each day and schedule emails or calls. It is different from most other planners as it is spiral-bound at the top, which makes it easier to flip pages. There are 75 pages and each page is divided into different sections so you can write down things such as meal plans, amount of exercise you want to do, and so on. However, the paper quality is not the best, and despite having a hardcover, it feels quite flimsy. It won’t last a very long time either as there are only 75 pages, which will run out in 2 and a half months if you use it every day. If you’re looking for a planner that will last you for a while, then it would be better to select one of the other products on this list. For those who prefer smaller planners but still want hardbound options, this product would be a good choice. It has good quality, undated A5 pages with space to write down daily goals, plan your meals, and judge your daily performance. It has a large section for notes, which is great for those who like to note down lots of miscellaneous things, or even those who want free space to draw out their ideas. Since this planner only has 75 pages, it will last you for about 2 and a half months, and you would have to buy another one after that. Therefore, despite seeming like an inexpensive purchase, the cost will eventually add up to quite a bit. If you do not want to buy a new planner every few months, then it would be better for you to choose one of the other products on this list. 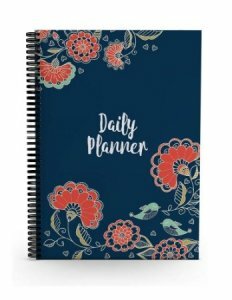 This A5 planner has a floral design on the cover and is spiral bound, which makes it durable and beautiful. It is quite small in size and doesn’t weigh much either, so it’s great for those who like to use their planners on-the-go, and also those who would prefer a lightweight option. The pages are undated, with space provided to keep track of your meals, exercise habits, and daily appointments. There are a few drawbacks to this planner though, the biggest one being that it only has 100 pages, so you will need to buy a new one after about 3 and a half months. This also makes the product more expensive than it may initially seem to be. Furthermore, the cover isn’t hardbound, so if you’re someone who isn’t too careful about how they handle their stuff, then this might not be the best choice for you as it may get ruined pretty easily. This is the perfect planner for anyone who wants the basic divisions to note down objectives for the day, daily schedule, and expenditure, but also needs some free space to use as they like. It is a great hardbound option for time management as the daily schedule section has space to note down activities for each hour from 9 in the morning to 9 in the evening. 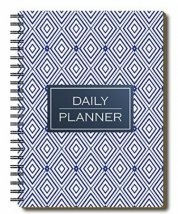 If you like to organise every hour of your day then this planner would be really useful for you, but if you’re someone who doesn’t have the typical nine to five type of schedule, then this planner won’t be as useful for you. Furthermore, the spiral bind is a little loose which makes the product seem quite flimsy, and it only has 80 pages so it will only last for about 2 and a half months. This simple stitch-bound, undated A4 planner has a grid-type layout to help you plan out your months and would be perfect for those who like minimalist designs. It also comes with a set of stickers, which could be used to make certain activities stand out more and easier to spot. If you’re not someone who needs lots of different sections and instead likes to go for a simpler organisation style, then this is the product for you. Although, if you do want to write down specific appointments and details for each day, then this might not be great for you as there wouldn’t be enough space to do that. It’s also not the right choice for those who do not have a big bag to carry it around in. Additionally, if you’re not good at taking care of your notebooks, then you might prefer one of the other products as this has a soft cover and thin pages, which are likely to get ruined. Those looking for a B5 planner that will last them for a whole year should definitely consider getting this one. It is divided into 12 sections for each month, and although the months are not labelled, there are predefined spaces for each day of the month. 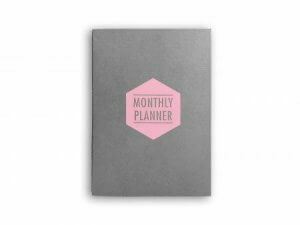 The monthly organisation pages are followed by a few empty pages, which can be used freely. Furthermore, since this is a hardbound planner, it does feel sturdy as well. On the downside though, the quality of the pages isn’t the best, and the colourful monthly sections or the text on the cover may not be appreciated by everyone. It may also be too small for those who want to note down a lot of things every day, or those who prefer having different sections to plan out various types of activities each day. 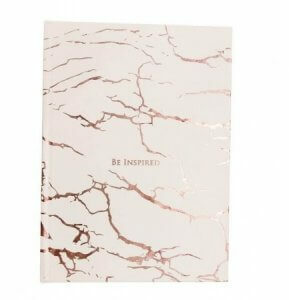 If you want to get a hardbound dated A5 planner that not only helps you organise your days but also encourages you every day with inspirational quotes, this is the best one for you. The cover, as well as the pages, are filled with gorgeous, colourful artwork, and the quality of the paper is really good too. This is particularly suitable for those who love products with creative designs that are easy to use as well. 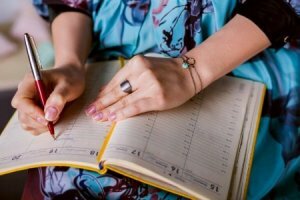 There is space to organise your activities for each month of the year, and there are also about 10 lines to note down specific details for each day of the month. Although we’re already well into 2018, you might still find this planner attractive, as it keeps you motivated to tackle each day with a positive attitude. With a high-quality hardcover and pages divided into relevant sections, this is one of the best affordable planners you can buy online. It has various sections to write down not just your goals for the day, but also long-term goals for the year. It has an attached ribbon, which functions as a handy bookmark and makes it easier to get to the page you were using. Furthermore, it is not limited to a few months and can be used until the end of 2018. It is especially good for those students who are already looking for jobs and want to keep a track of their professional goals as well. Although, even students who’re not job-hunting or working can use the professional goals section by changing it to a study goals section. This is the perfect planner for students because it is a hardbound A5 option that lets you plan both your monthly as well as weekly engagements, and is really affordable too! It has a grid-type layout to let you view your month at a glance, and a few lines for each day in the weekly section to note down important appointments. The quality of the paper is really good, and it is quite an affordable option as well since you can use it for a year. 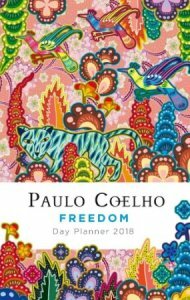 It is the perfect planner for those who do not bother with writing down too many specifics for each day but do want to be able to know their schedule for the month, as well as their objectives for the day without any hassle. If you’re looking for the best undated planner, which is straightforward and budget-friendly, this is the one you should get! Having a multitude of options can make the decision-making process quite difficult, but with our buying guide, you probably didn’t have anything to worry about. We also listed our top 10 picks for the best planners for students to buy online, to make it even easier for you to choose one! We hope that you found this article useful and that after reading this article you were able to find the best planner to suits your needs!